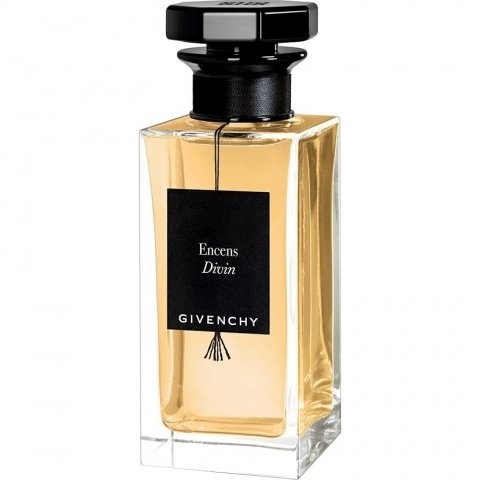 L'Atelier de Givenchy - Encens Divin is a new perfume by Givenchy for women and men and was released in 2018. The scent is spicy-smoky. Projection and longevity are above-average. It is being marketed by LVMH. What should I say I really liked it on the first sprayer and it stayed that way for the next hours! This perfume is very dark and mysterious, a real beauty that you rarely encounter in life. I find this fine and charismatic water completely deviates from the previous fragrances. It is spicy, I almost thought I noticed a fine trace of an excellent espresso but no, these are the woods in combination with the rose and the incense "really very unusual but beautiful and sensual audacious, a bit dangerous. For this fragrance you need a clear self-confidence - this is not a floral and airy, light everyday world. One or two sprayers are enough, otherwise carefully lay down your opponent - he pulls him into the spell. At some point he becomes a bit more tame - a trace of sweet but still with this dark undertone that whispers quietly of mysterious things that take us away. I have afforded myself this somewhat expensive fragrance of almost 200 euros and enjoy this very different seeming dark free spirit. It changes every now and then, but a dark fragrance remains and carries the other ingredients in the four directions of freedom. It would also suit a man, the Rosenabsolue is very well packed and looks only tentatively and carefully. If the scent were a fairy tale it would be for me all kinds of woman the beautiful one packed in the coat of small particles of 1000 different furs (no real of course I am animal lover) and it peeps out such a dark and perfect beauty that one decays. The coat falls down and there stands this beautiful dark creature, you close your eyes and the picture captures the heart. The reader may excuse my fantasy journey, but the perfume has touched, fascinated and captured me in a miraculous way. Before spraying on Encens Divin, I was a little concerned about how sharp the top notes (pepper and ginger) would be in the opening but as it turns out, I had nothing to worry about. The opening was a slightly spicey resinous vanilla that reminded me of Ambre Tigré. Rose notes along with wood and incense followed soon afterwards. After a while, amber and treacle (molasses) notes came into play. A very nice olfactory experience. Though I did enjoy Ambre Tigré, I would recommend saving your money and purchase Encens Divin instead as this is Ambre Tigré with a lot more depth. Projection is around 6ft (2m) and is still noticable after 10 hours. Can easily be worn for any occasion professional, leisure and intimate. During my first day of wearing Encens Divin, I received a few unsolicited compliments from co-workers. Full bottle and signature scent worthy for men or women. As so far this perfume is nowhere to be found - in perfume shops and web supliers at least - I asked for help to get any kind of sample. A good french friend of mine sent me a plastic envelope with half a dozen sprays of Encens Divin inside. A lot better than a paper strip. This has not really been a normal test but it was good enough for me to understand that Encens Divin is really divine. It's a bit "Montalish" - that means "good" for me - with a very nice "menáge à trois" between the rose, the amber and the oud/woody notes. It's an Oriental Spicy "Oudish" fragrance, and a real good one. For me it's a winner and maybe (just maybe) it may be considered an unisex fragrance although a bit - or several bits - to much gourmand for my taste. The opening is quite pepperish but it's an enchanting one with the delicacy of the red pepper smothing the black pepper strenght. The heart notes still reveal the enduring pepper notes but a magnific rose makes a superb entrance (is it Taif rose?) together with the strong two different cedar notes and the smoky amber probably due to labdanun and frankincense existing notes. There is also a very woody, earthy, smoky cypriol scent. Either due to the cypriol blending with the cedar notes, or by the existence of the note itself, you can distinctly smell a highly pleasant peaceful oud scent. The evolution is slow enough for you to perceive it. The bottom notes do prepare the long final dry down with an enduring strong sweet amber (it's not only the labdanun and incense any longer; amber and/or amberwood do provide a divine omnipresent sweet and smooth amber background ambience). The rose note does persist for quite a long time and the oud scent becomes stronger as well. There is a very sweet and smoky aura (tolu?, benzoin?, vanilla?) around this strong notes. The woody notes also become smoother as the ceder surrenders part of its strenght to the magnific oud, amber wood and amber scents. After opening the envelope, I converted it into a flat open sheet to let the dry down fully develop itself. The oud and amber scents do persist till the fragrance becomes a faint skin scent (plastic envelope faint scent). It lasted for 15 hours but this longevity mark has been fooled by the conditions of my empiric test. I may risk an opinion of a skin longevity between 8 and 10 hours. Projection has been above average and quite constant in the first 3 hours. Sillage is average and I rated it as 5~6 feet for the first 3 hours. Again I may have been fooled for not having tested it on skin. When using it on the skin, I forecast the fragrance projection to die after 6 hours and then becoming a skin scent. I first tested Thierry Mugler's Muse the same way and my assumptions were very acurate. This is a very fine fragrance. 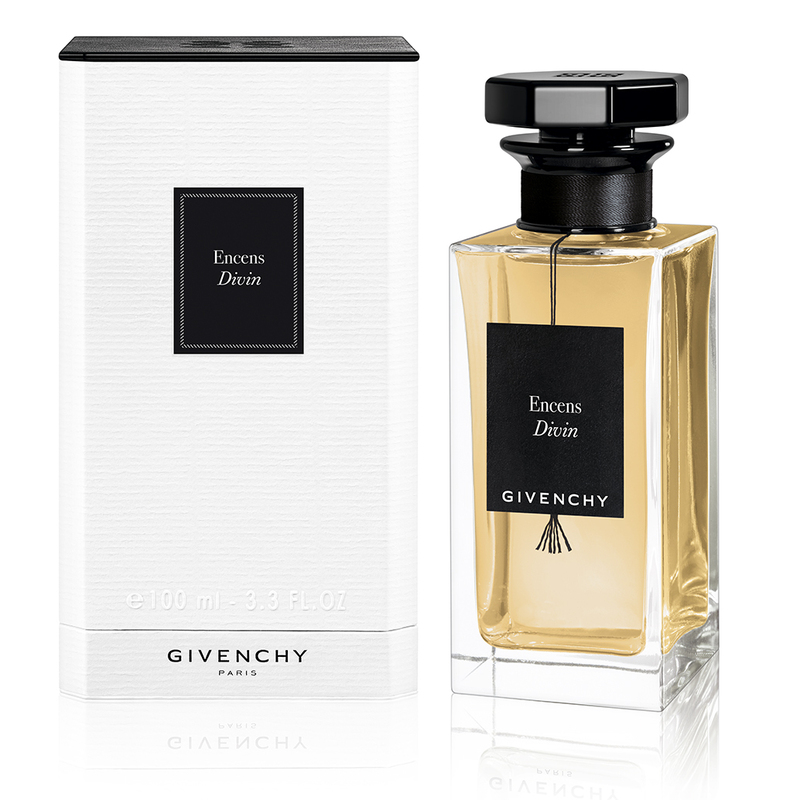 It's a real pleaser and a not to miss fragrance for oriental scents lovers. The componments quality must be very high as the perfume does really smell expensive and classy.